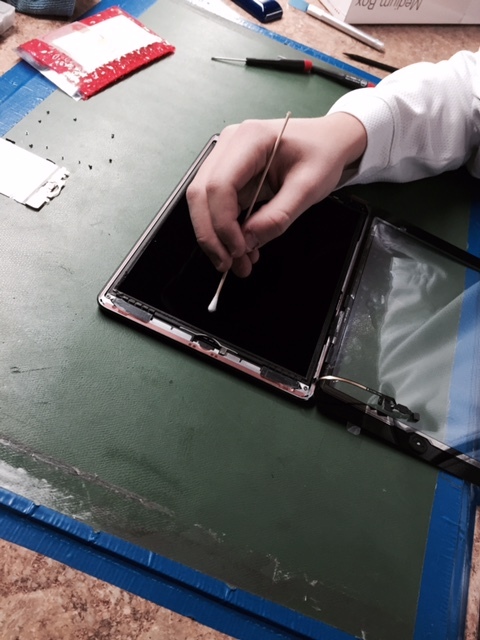 iPad Mini 3 – are the screens “fused” like the iPhones? This picture is a little difficult to tell, but the glass is going on OVER the LCD, which is separate. 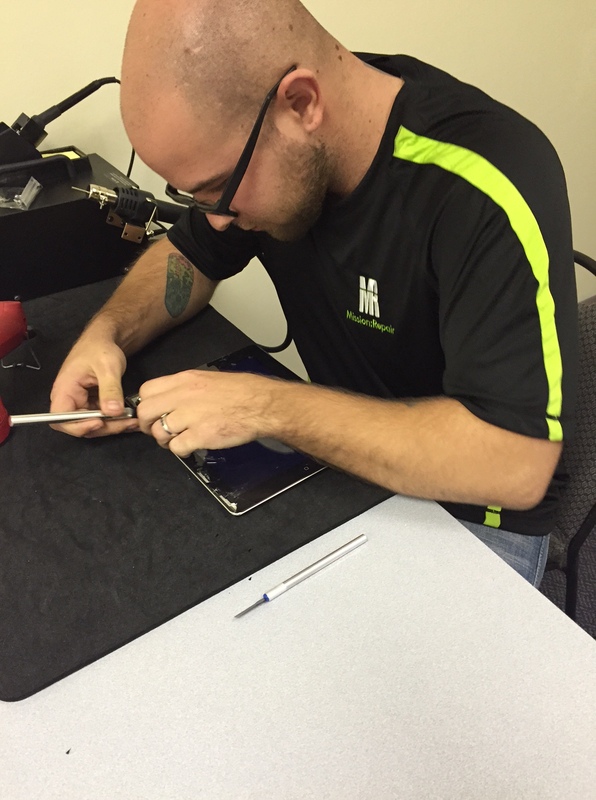 And in most cases, the outer glass is what usually breaks when one of these devices is dropped; and since it’s separate it saves each of our customers big bucks when choosing Mission Repair for service. We are starting to stretch across the country. 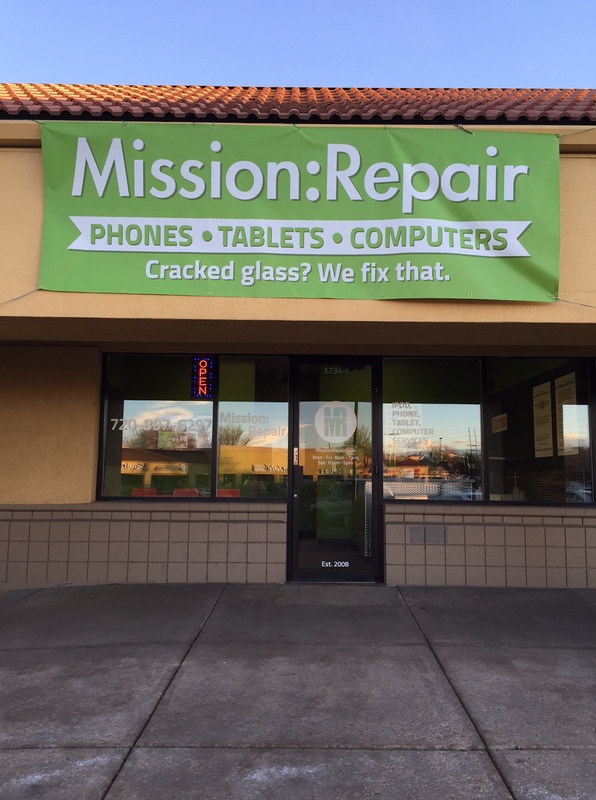 By now you’ve probably heard that we have a Grand Opening at a new Mission Repair location in Lakewood, Colorado on 2/2/15. The final preparations, marketing and training is happening now! In fact, I need to pack my bags again because I’m heading there tomorrow afternoon! It’s true. Indianapolis, Atlanta, and Tampa are on the board and in the works. We are currently training the new Store Managers at our Corporate Headquarters in Olathe, Kansas. Once they have the skills to perform the day-to-day operations of a retail store, they will be given the keys to the kingdom and grab the helm of their very own location. 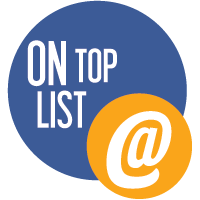 It’s an exciting time here at the Mission Repair headquarters and we are looking for several more Store Manager Trainees over the next 12 months, so check our Career listings page for openings. You might just want to be part of the Mission Repair experience too! 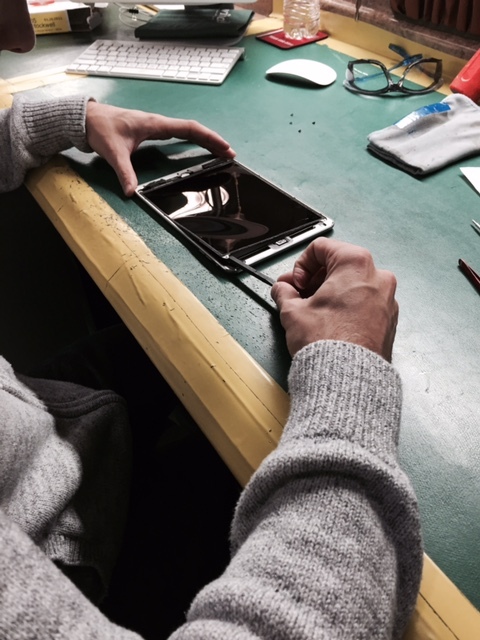 With all of that being said, we are also offering 10% off your next repair order starting today through Sunday 1/18/15 at Midnight, just use coupon code “MANAGER” to receive 10% off that next repair! Thanks everyone, have a great night!